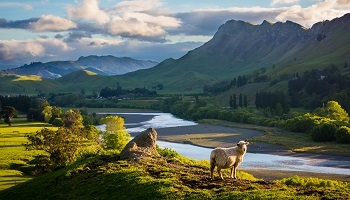 Basking in a Mediterranean climate, the Hawke's Bay region is known for its wine, food and fabulous scenery. Over 30 vineyards offer visitors a wine tasting and indoor/outdoor dining experience. 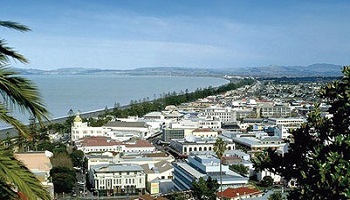 Napier and Hastings the two main centres in the region have a high concentration of Art Deco and Spanish Mission architecture. Following a major earthquake in 1931, the towns were rebuilt in these unique styles. 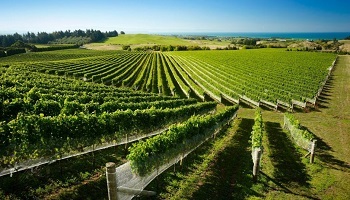 Hawke's Bay has New Zealand's oldest winery, with the areas sunny climate attracting wine growers very early on. Many of New Zealand's best red wines are now produced here, with many of the wineries open for wine tasting. You can take a self guided tour, hire a mountain bike and cycle between vineyards, or take a fully escorted tour. Many wineries also include a restaurant or café, where you can sample the wine with a meal. At Hastings, the Farmers Market is well worth a visit, to see the local organic food and produce. Whilst in Hawkes Bay New Zealand there are also specialist olive growing, honey, cheese, chocolate or orchard tours you can take. Try your hand at honing your skills on a cookery course, utilizing some of the great fresh, local produce.